Behind every tour are local workers hoping to earn a good living out of the influx of sightseers. A walk on the beach probably is one of the most serene things in life. 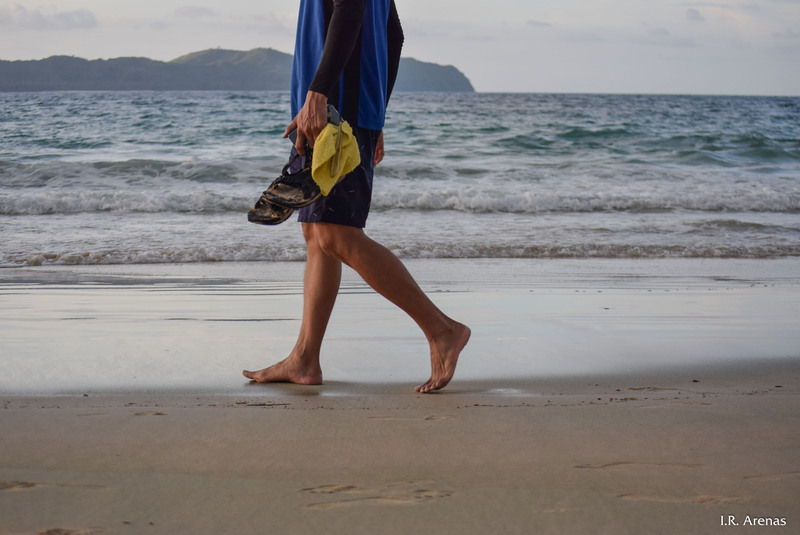 The monotonous surf provides the white noise and the fine sand relaxes the feet. People need more simple things that soothe the burdened self. 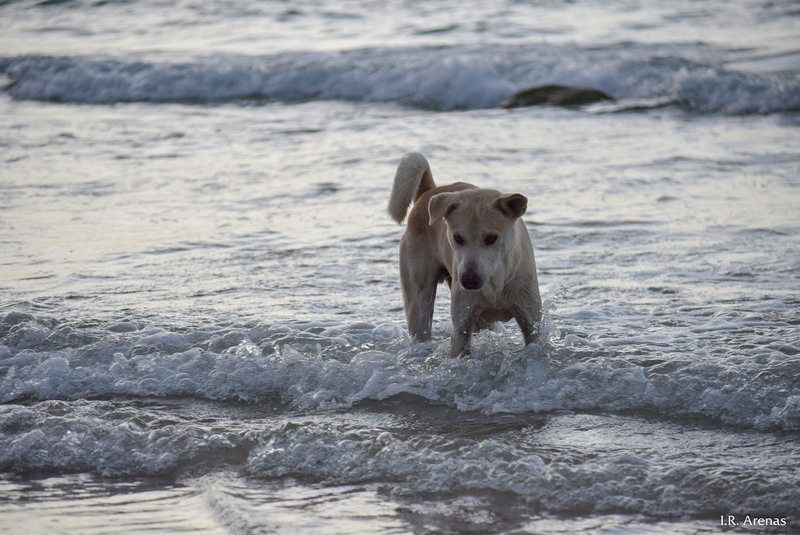 This friendly dog at the beach enjoying the surf looks endearing even to this photographer who is not a lover of dogs. 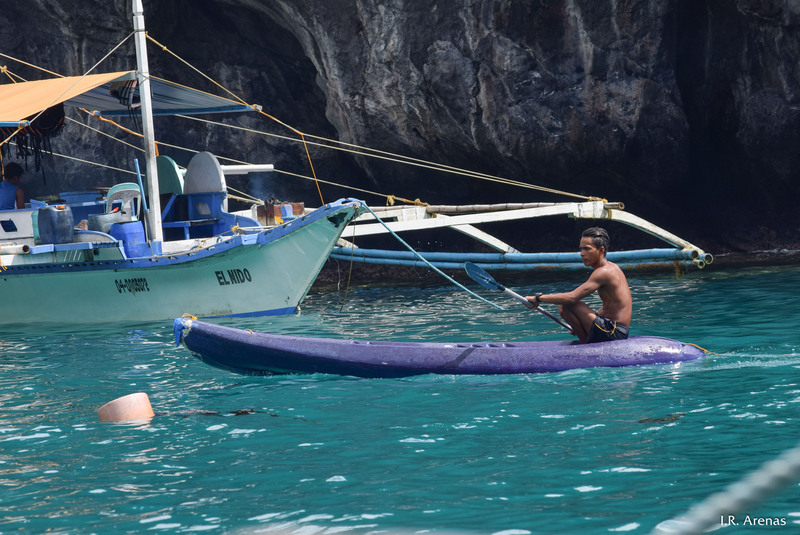 Local and global: it is not far-fetched that a resort municipality may soon thrive with a “glocal” attitude and culture. Local identity needs to be firmly intact as the assimilation of foreign ways of life is continuous. Tourism attracts peddlers. Locals make opportunities out of the commercial beach life. 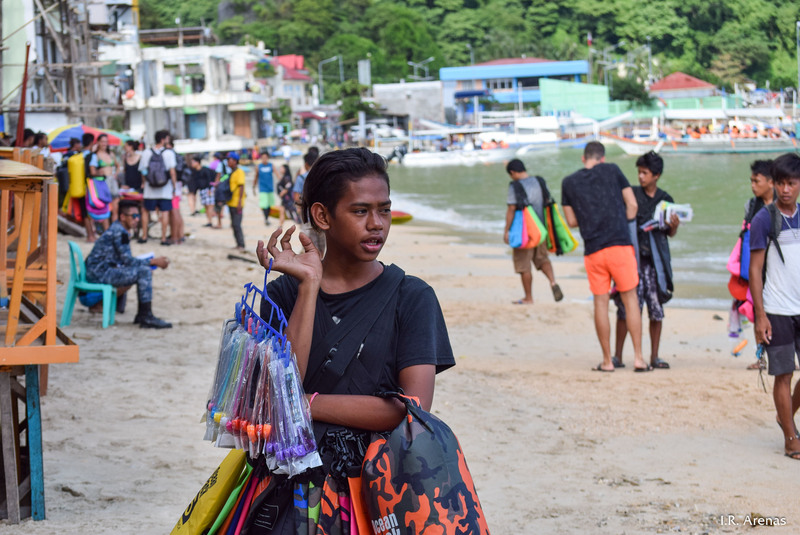 Here, a peddler sells phone pouches and dry bags along El Nido’s busiest beachfront. 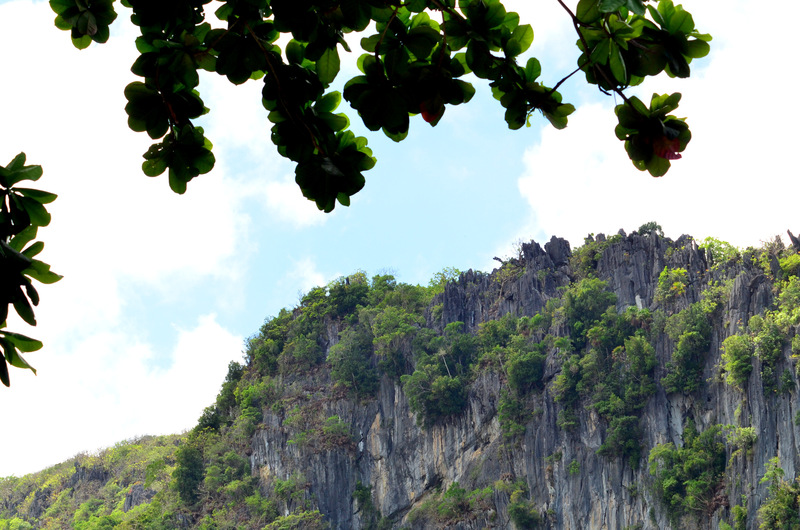 El Nido, meaning “nest”, lives to its name. 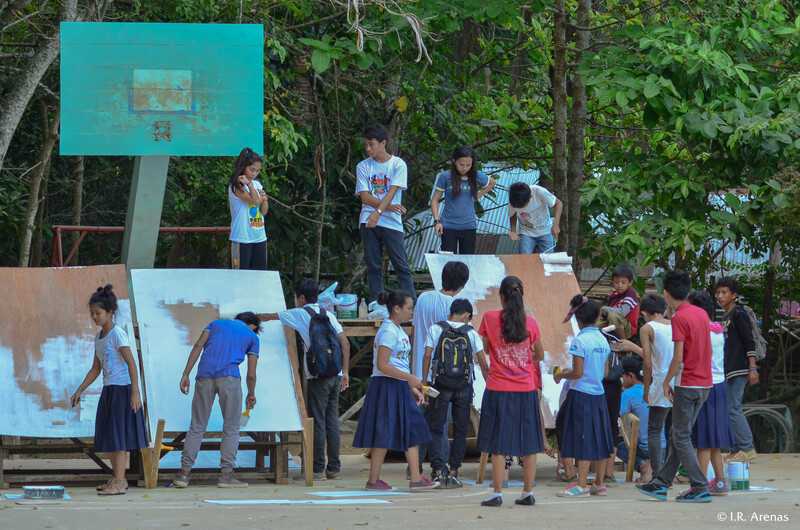 It is indeed not only where balinsasayaw birds keep their nests but also where people in search of nature and recreation can flock to de-stress. But how long can tourism and the locals maintain such harmony? Students may only think of this as a class project, but little do they perceive that such teaches them how to be really social, in a sense the opposite of creating online social networks. Taráw peaks are limestone karst formations. El Nido town in Palawanis scattered with these. 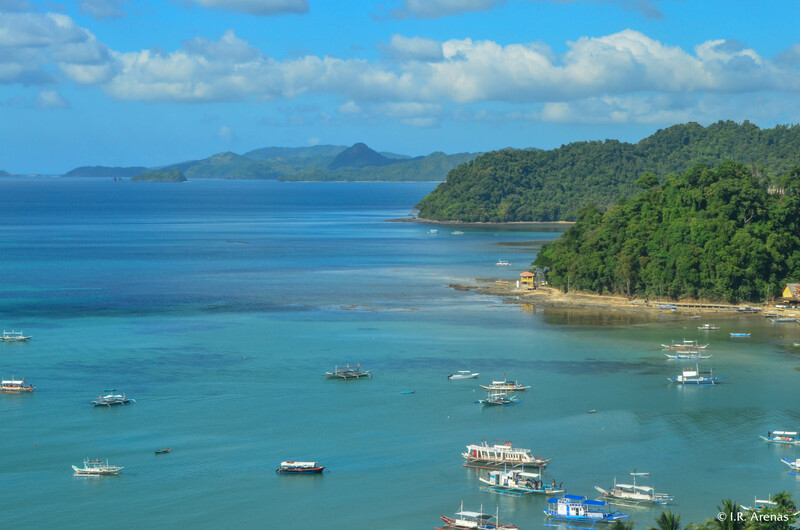 The Palawan archipelago is actually is geologically distinct from the rest of the Philippines. 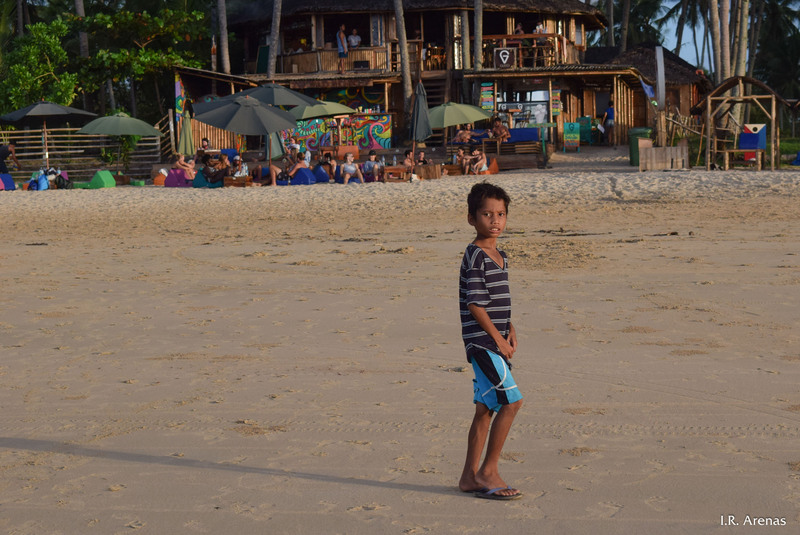 These children, probably siblings, are having a joyful time at a beach in El Nido, Palawan. 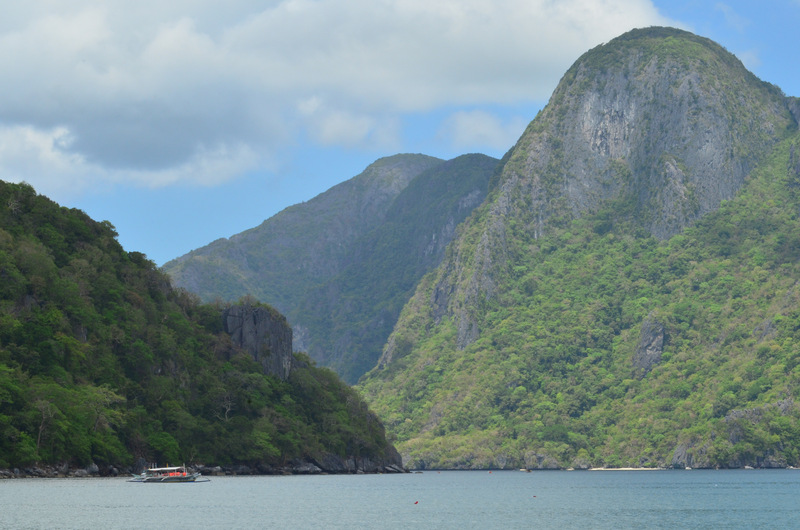 On the right are the promontories of Cadlao Island in El Nido, Palawan. Between the landforms seen at the foreground and background is a passageway to many other islands and beaches of El Nido.